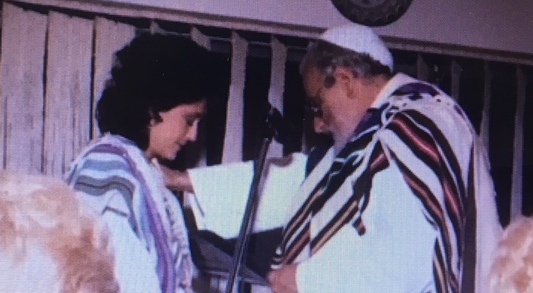 Rabbi Shoni was ordained by Reb Zalman in 1987. Along with her husband and rabbinic partner Rabbi Phil Labowitz, she pioneered in bringing Jewish Renewal to South Florida, hosting Reb Zalman for countless teaching engagements and together founding Temple Adath Or, The South Florida Center for Jewish Renewal. 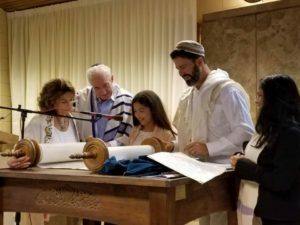 TAO remains infused with her light, love and energy under the inspired leadership of their son, Rabbi Marc Labowitz. Our hearts are with Rabbi Phillip Labowitz, Rabbi Marc and Paulina Labowitz, Galia, Ocean & Kole Kerev, Reb Arik and Aliza Labowitz, Judah & Noah, and Pierre & Christina Labowitz, Marina & Matthew and the entire family on the loss of their beloved wife, mother, grandmother. and spiritual guide. May her memory, her legacy, her artistic vision and her inspiring creativity be an ongoing blessing for us all. To make a charitable donation in Rabbi Shoni's memory, please contact TAO at 954-888-1408 or click here. Marc Labowitz - Rabbi Shoni Labowitz Z"L, Enjoy your continuous adventure and know you are so very missed. Click here to view a video montage of Rabbi Shoni and her extraordinary life. Michel Joseph Pugin Osb - Another soul has gone Home. The world just lost a beautiful, dear and exceptional woman who has and still is truly a prophet of our times. The radiance and the Shekinah glory of the living G_D shined through her and like the rays of the sun, touched all who crossed her path. In her art she revealed the true nature of G_D and brought G_D down to us. That, God is not a King sitting on a throne in heaven, but that G_D is in each and everyone of us from the day of conception. Every human being is a Child of G_D and that every human being has within themselves the "GENE" of the Divine who is G_D. May the angels lead you to paradise. May the martyrs receive you at your arrival and lead you to the holy city Jerusalem. May choirs of angels receive you and with Abraham, may you have eternal rest. You have not touched the face of G_D! See you soon, sweet Rabbi Shoni! We love you! Sheryl Reback - No matter how prepared we are, we are never ready for the permanence of those we love transitioning to spirit. Today is a very sad day for so many of us. Those of us who mourn the loss of Rabbi Shoni Labowitz know that while her physical presence will be missed, her light will never go out, as a part of her will always shine through each of us. She taught us well, and while she fought to stay because she felt she had so much more to do here, I trust she will still find a way. Rabbi Shoni, rest in eternal peace. Your name and your memory will forever be a blessing. Rabbi Shoni, we are all better for having known you. The memorial service for our beloved Rabbi Shoni Labowitz was beautifully sad and sadly beautiful. She was, amongst other things, an artist, and we, her family, friends and community, her canvas. Rabbi Shoni brought people to life, helped them find their unique divine spark, and created a community of connectivity and love. She saw the world in vibrant color, and her wishes for us to dress that way at her "farewell for now" service were honored, in hues of all the colors of the rainbow. We sang and danced to honor the woman who encouraged us all to find our own song and dance as if no one was watching. As I listened to Rabbi Marc, Rabbi Arik, Dr. Lisa and Nola speak about their mother, their teacher, their friend, I was magnetically drawn to look at the photograph of Rabbi Shoni that was projected above the bema. Even in her picture, her smile and her eyes shone so bright, and penetrated my soul. Whenever she looked into my eyes I felt she was having a secret conversation with me that required no words. 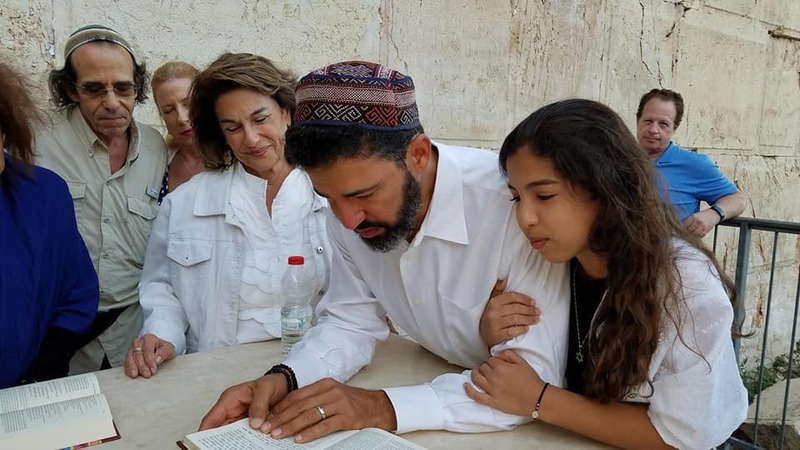 I pray that now that Rabbi Shoni is at peace, her family and friends will be comforted by their memories and always see her smile in the moments when they miss her most. Renee Greene - So sad that I just lost one of my closest friends whom I loved and admired - Rabbi Shoni Labowitz. She "got me." She told me the truth - hers and mine. She made me feel loved and wanted. She accepted the raw me - without judgment. Shoni came to my birthplace home, my history, my family and friends in Charleston to be MY memory keeper. We shared so many times laughing and crying, celebrating and mourning. When my parents passed away, she supported me so that I could continue to live life fully. She was my morning ride call and my evening day in review call. Losing Shoni is a devastating loss to me personally, to the community and to the world. I can't speak for others, but for me, the world was a bit dimmer this morning without my friend Shoni's bright and shining light - from within and emanating out to us all, bathing me with the best that this world has to offer. Shoni Labowitz - I love you....I will always hold a space in my heart for you. 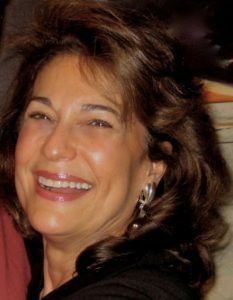 Rebecca Negrin - Our dear sweet Rabbi Shoni Labowitz passed today. The outpouring of love for our Angel on Earth, now an Angel in Heaven is nothing short of a testament to the love, wisdom, light and legacy that touched all of our lives. 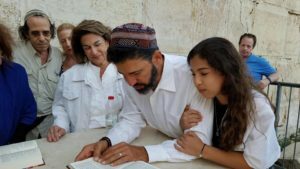 Rabbi Shoni lives on in her family, friends, community and all who were lucky enough to have known her, experienced her, even for the briefest moment. Rest In Peace our dear Rabbi Shoni. 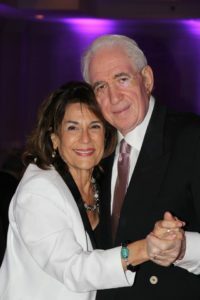 Our prayers, love and light are with the entire Labowitz family. Brandon Fish - I lost a dear friend, really a member of my family, today. I loved Rabbi Shoni Labowitz, but I spent my day as she would have me spend my day: helping people, connecting with the Jewish community in Charleston, and enjoying life. She would have loved every part of it. I have called every day to check on Shoni for the past three weeks, and I'm terribly sad that she has departed from our world, but am happy she has some relief from a terrible chapter in her life. I love her and her whole family forever, and I'm forever here for them. All love. I can only hope to live better in her honor. Anne Goldberg - Rabbi Shoni Labowitz..... when I joined TAO some 13 years ago I had no sense of being Jewish. It was the compassion and the music that drew me in. Time went on. I volunteered. I got involved and TAO weaved its way into my heart and my soul, informing how I showed up as a person and as an empowered woman. 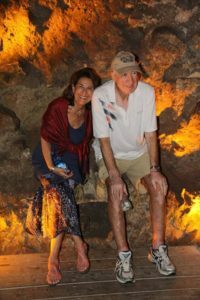 I didn't know what was lacking until I found it in this community; this place for people who never fit in anywhere else; this haven for those of us seekers unable to connect in this way ever before to a spirituality that speaks to the heart, soul and mind. While your teachings inspired and motivated, it was truly WHO YOU ARE that inspires me most. As a result of Temple Adath Or and its spiritual leadership, I now I identify as a Jew - something I never felt before. This community you birthed helped guide me to roots, to my identity; to my courage and my gifts. And I know I am not alone. You are in my heart always. 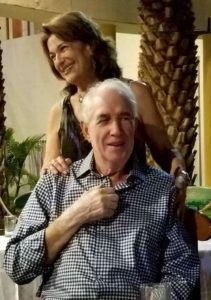 Akili Neer - It was maybe the second time we went (to TAO services) when I noticed a tall, handsome older gentleman walk in with a woman whose energy made her seem as tall as he was. I’m the type of person to sit back and observe, and feel, and there was something about her…a light that seemed to radiate from her. It was both beautiful and intimidating. The first time I heard her speak…well, when she spoke, you listened. Her love for Judaism, her vast knowledge, it was unlike anything I had seen in person, and I was captivated. Little known secret, when I was 11 or 12, I wanted to be a Rabbi. As I was trying to find my own footing in a life that no longer seemed my own, I met this woman who embodied everything I had ever wanted to be. 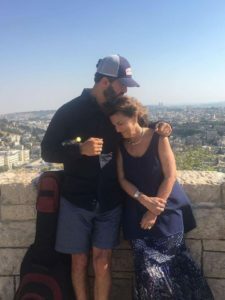 She was an artist, a writer, a mother, and a Rabbi. She has one of the most beautiful families I have ever had the pleasure of meeting. Since I first met her, I wanted to study with Rabbi Shoni. I wanted to know everything she knows, she just seemed to know so much. And I don’t mean the same knowing that comes from text and study, I mean the type of knowing that comes from the soul. I was too afraid, I guess is the best word, to ever go up to her and say these things. While most people might think I’m an outgoing extrovert, they would be wrong. And it’s at this start of 5778 that I’ve finally come to realize how much of my life has been ruled by fear, especially the last 9 years or so. I’ve been living primarily in the shadows of my own life. I want to be like Rabbi Shoni. I want to live my life in a way that light radiates from me to others. She is the shamash of this community and I’m willing to bet, her family. She walks with grace and dignity, and her strength presents as strength, not a “hardness” as my own does. For the better part of this past year, I’ve not woken with a passion or even thankfulness of life. I’ve often woken up and thought, “Ugh. I’m still here? Why?” And there have been times when I hoped to not wake up in the morning for reasons too long and involved to list here. I believe these are feelings and thoughts you have when you aren’t living your authentic life, when you can’t hear Hashem anymore. And then I heard Rabbi Shoni was sick, and my heart hurt. I don’t think anyone, least of all her, knows what an impact and inspiration her mere presence has been in my life. My steps, henceforth, are inspirited by all of who she is, and who I want to be, like her. Howard Chess - To know Shoni was a Blessing and I and so many were Blessed. Shoni was magical and she told me that she felt that the best work she ever did was Living Waters. 💔 I love her, always have ... always will. She changed my life and I will never forget her. Debbie Schmidt Milam - What a beautiful tribute and what a beautiful soul she was. Her work touched my life deeply. I'm so grateful that you were in relationship with her the last few years. May her memory be forever a blessing. May God's love comfort you and her entire family you as you all move through your grieving process. I love you and I am here if you want to talk or pray together. Evelyn Wiesenberg - I wasn’t as close to her as other people but she got me as a woman, as a cook, but most of all, I saw myself in her eyes whenever I talked about my love for Rick. We were privileged by meeting her and to be touched by her heart ❤. She will always be in our memories. Rhonda Kanefsky Adelstein - So sorry to hear about Rabbi Shoni. I knew her as a 16 year old and she was a sweet lady. 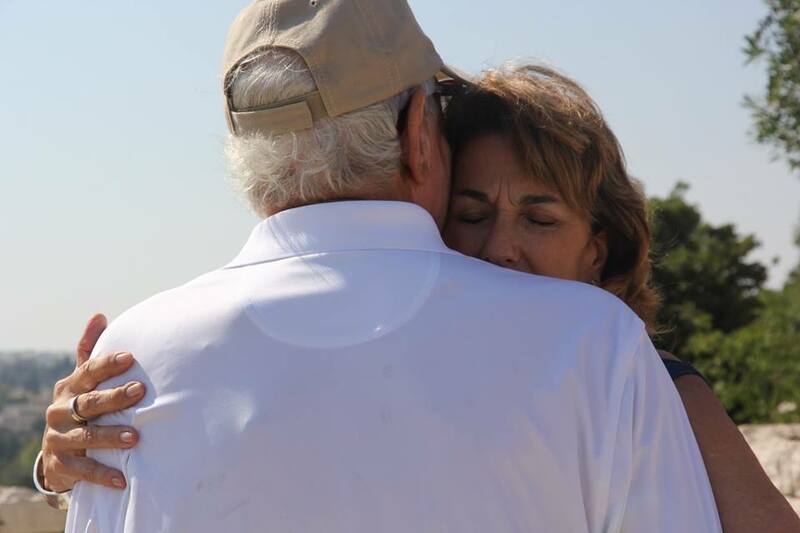 My deepest condolences to Rabbi Phil and Rabbi Marc and their entire family. May she Rest In Peace for eternity. Tia Crystal - Beautifully said. After reading today of your beloved Rabbi Shoni Labowitz passing, I felt the deep love and sadness of her community. I know you love her deeply and I know through that love you will find peace. 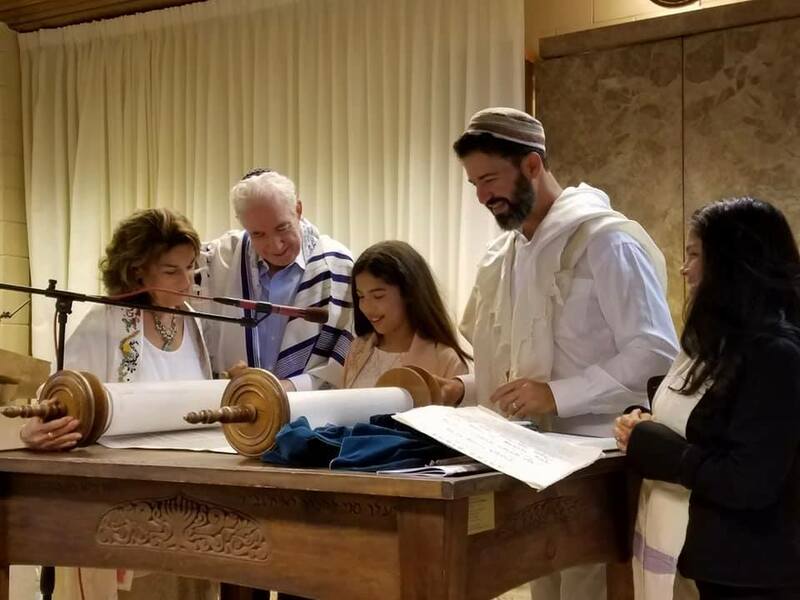 You are all such an amazing community and Rabbi Marc Labowitz together with his beautiful family will find peace at this sad time in this too. Celebrating an amazing Wife, Mother, Grandmother, Teacher, Friend. Rest in Eternal peace, Rabbi Shoni. Jenna Cassell - Proof that a person's worth is not measured in the number of years, but in the quality of how that time is used. 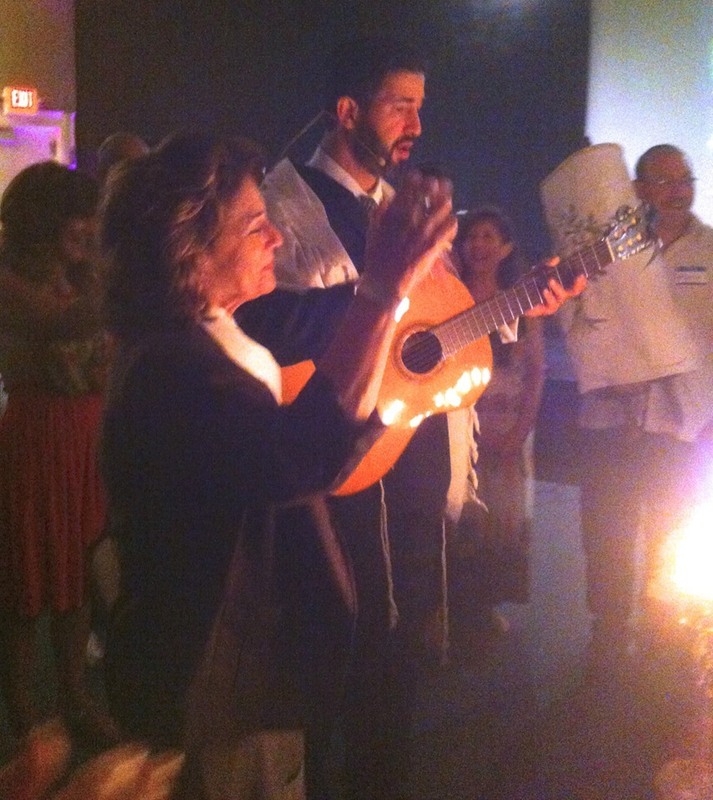 Rabbi Shoni accomplished so much as: mother, partner, teacher, artist, dancer, author, Rabbi. But today, the best measure of this woman was the outpouring of love in celebrating her life by the family and community she birthed. Sandy Goldman - Shoni was such a loving and inspiring soul, and will continue to be through all of us! Marly Silverman - I will mourn the passing of a phenomenal woman Rabbi Shoni Labowitz by celebrating her life -as she wished in bright colors. Nothing about Shoni was vanilla. She had a flair for beauty, wisdom for the ages, a never ending smile and a divine presence that always irradiated loving kindness and acceptance for everyone. My prayers are with Marc Labowitz and Paulina Labowitz, Rabbi Phil Labowitz and the entire Labowitz family. May you find comfort among the mourners of Zion. May you find comfort in the beautiful memories you all shared with Shoni. Lisa Crane - You will be remembered with love always for your intelligence, insights, pioneer spirit, otherwise known as your rebel self. Your men are magnificent. I see you in all of them. I have been reminiscing with you daily. I love you sweet sister. No distance will keep us apart. 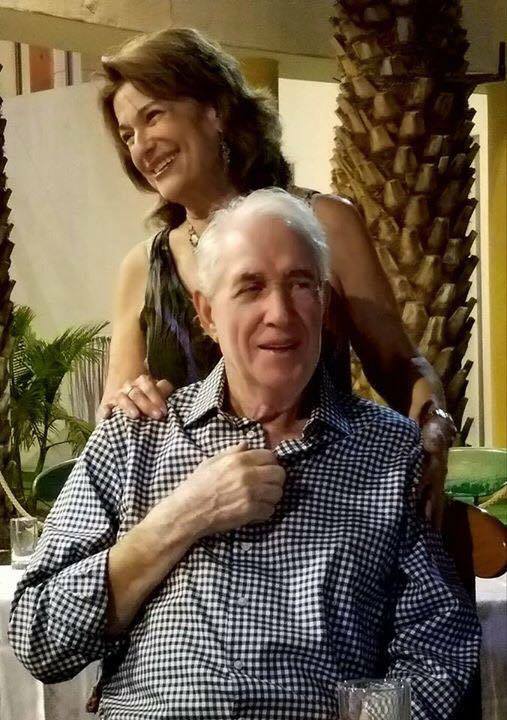 Maria Dazskal - I can still see your bright eyes and radiant smile and feel your hand as it grabs mine to dance with you...I bask in the energy of your joy and strength and support of everything I do, and I rest in the comfort of your love, always, as you rest in our love and sweet remembrance of you. Jackie Olenick - Dearest Marc and all holy Labowitz family. Our family sends you all unending love and gratitude for sharing your mom with the world. Her light will fill up galaxies. Nathaniel Calys-Tagoe - Beautiful memories! Sad! but very refreshing, because we believe by now you are rejoicing in the bosom of our Lord. From afar, we felt and tasted your love and kindness! When we were in dying need, you joined beautiful friends and family, and together brought sweet relief faraway (Africa, Ghana) to us! Also till today, we still continue to study your great teachings. Though it seems you're faraway, but we know you're very near! Though you are faraway, we know you're looking at us closely, as we celebrate your absence here. Though we are missing you today, but you will forever remain fresh in our hearts and minds till we meet again somewhere someday. IN PERFECT PEACE MAY YOU REST. Gilah Joy - Today the world lost a a beautiful soul. When I first met her, it was intimidating how open she was. Most times when someone is that truthful, loving, and open from the moment you meet them, it's a farce or for show. This was not the case. She was genuine. There was something about her that let you put your guard down without thinking twice. You would find yourself opening up to her, and the next minute you were in tears. She had this ability to draw things out of you from deep within that you could trust no one else in the world with. And when doing this, you needn't worry about judgment, what she may think of you. She had an ability to instill confidence in you and believe her opinion of you had to be true. She was there to lend an ear, a shoulder, and to just be there. Shoni Labowitz was beautiful for an infinite number of reasons. For the reasons already mentioned, and for her own abilities and talents. She was an artist, an inspiration, a conqueror of obstacles in her life, a free thinker, an empowerer, indescribable truly. Her love and power could be felt with every smile and hug. I can't thank her enough, and only hope she knew how much she was to my family, to others, to this world. I wish everyone in this world could've felt her love and healing. May we focus on the lessons you've taught us and learn from your life, as I know you'd never want us to do anything but that. Rest in peace. Donna Goldstein - ... a great light was extinguished yesterday .. 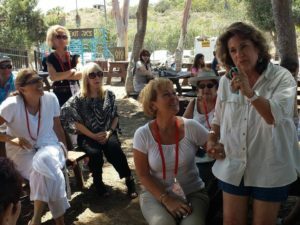 Rabbi Shoni Labowitz made her transition. Did you know or know of her? 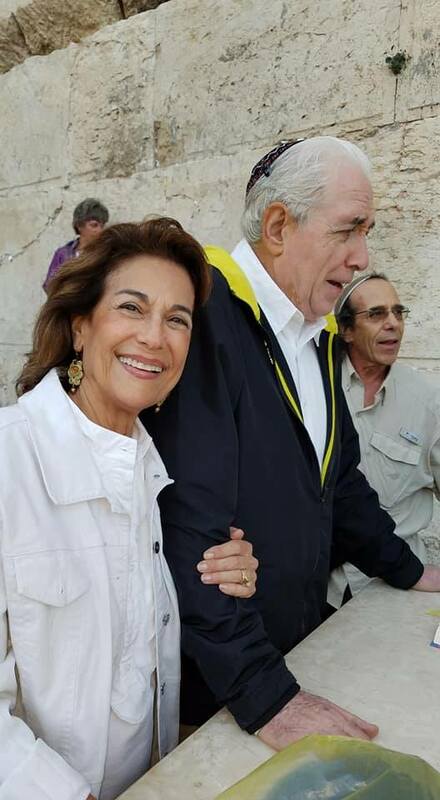 Actually, her light will live on in the thousands of people she touched ...and in her wonderful son Rabbi Marc Labowitz, who now leads the TAO congregation that Rabbis Shoni and Phil Labowitz started .. what a legacy of love and passion and compassion. Rest In Peace, vibrant, wise and creative spirit .. you'll be missed and forever felt and loved. Ellen Kamen - Today, my dear old friend Shoni Labowitz was put to rest, but her blessings, love, faith, wisdom & inspiration will live on through her beautiful family & friends. Shoni was & always will be a light unto everyone who crossed her path. Dear Reb, Marc Labowitz, Arik, Pierre & their families, I love you & pray you live in the peace of all Shoni accomplished in her short life. She is only a loss to those who never knew her. Thank you for sharing this beautiful tribute to of your mom. The love transcends through the treasured photos, she will always be light to all whose life she touched. Louise Richard - What a beautiful person with a beautiful soul my deepest sympathies to everyone she leaves behind! Melanie Maron Pell - Rest well, beautiful Shoni. I know you and Grandma Florence are happily reunited, going on adventures, and getting into all kinds of trouble. I don't remember a time when our families weren't connected, and I'm sending every ounce of love to Marc, Phil, Arik, Pierre and their families. Allyson Lipnack - The older I get the more i appreciate life. It hits me so much harder when someone you know passes away. We moved to South Florida when I was 4 years old, we moved to Sunrise and I grew up going to Temple Beth Israel. Rabbi Labowitz was my rabbi growing up and this was his beautiful wife. I became friends with Marc Labowitz, their son, as we got older. Its like I've known this family my whole life. Even if we don't necessarily see each other often, there is still that tie, that love. Today I heard that Rabbi Labowitz's wife, Shoni, Marc Labowitz's mother, passed away, which makes me incredibly sad because she herself was a rabbi and touched so many lives. It's like a piece of my childhood passed. I hadn't seen her in many years but I look at her picture and it brings me right back to when I was a kid and seeing her in the front row at temple. My heart breaks for this family because I know there was so much love and I know she will be incredibly missed. My heart goes out to the whole entire Labowitz family. I love you. Lee Rickles - Happiness to see the joy which embodied your mom , her family and she shared that with us. She did it her way.....I aspire to and hope I am doing the same. Love you. Gail Cohen - Dearest Shoni, I already miss the the creative time in your studio ( lovingly inviting me in via FaceTime when I was alone and lonely) but rejoice and remain grateful for the brief time we had in creativity and friendship. Wishing I could give you a loving hug on your birthday and hoping to reconnect, learn more of your wisdom and know in times of difficulty “ what would Shoni do?” somehow via your women’s group, somehow. To the big sister I always yearned for.....With love and in blessed memory, always. Elyn Zerfas - So precious, so beautiful. Shoni's message is timeless and her palette is now without earthly limits. Shoni's passing from this world has been accompanied by rainbows, shooting stars, and comets. I've no doubt she's doing two of her favorite things.... dancing with angels and painting with all the colors of the rainbow. Phyllis Quasha Tess - A beautiful light has gone out. I am deeply saddened that Rabbi Shoni has crossed over. I was blessed to have known this amazing soul. She was the founder of our TAO congregation & community and a rare gem. May her memory be a blessing to Rabbi Marc, Rabbi Phil and the entire Labowitz Family. I am thinking of you with love and light. Shirley Goldberg - It truly is heartbreaking. Such an incredible woman. When I met her, I could not take my eyes off of her. Her light drew me in and the more I got to know her, the more awesome she became. I am so saddened. My deepest condolences to dear Rabbi Phillip and Rabbi Marc. Darren Cohen - So sad to hear the news that one of my Rabbis just passed away - Rabbi Shoni Labowitz. She and her husband officiated my Bar Mitzvah and were very influential in my family's practice of the Jewish religion. My thoughts, love and prayers are with Rabbi Phil, Rabbi Marc Labowitz and their entire family! 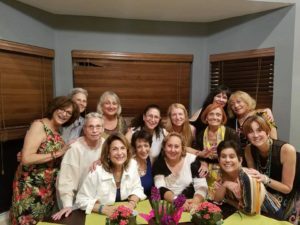 Caren Levey Vivado - I'm still crying at this touching tribute! She is Light, Love and Inspiration!! She will always be a part of me and all who had the grace to know her!!! Her talent for reaching out to everyone who met her still shines!! Much Love To You My Dear Rabbi Marc!! Hugs and Prayers For Healing For All Of The Family and Community! Suely Suchodolski - My mentor, my prophet, she'll always be around. Nanette Stavis - Rabbi Marc, Your Mom was a magnificent Angel. So gorgeous and full of Light. May you feel her Soul and inspiration closely always. What a wonderful tribute. I'm sure your Mom is watching over. GOD BLESS YOU ALL.